The building’s luxurious end of trip facilities are named Camerino and feature full air conditioning, 30 showers, over 500 lockers and space to park over 170 bicycles. Each shower cubicle has its own private room complete with a full-length mirror, polished stone seat and a splash protected power outlet to charge smartphones and tablets. 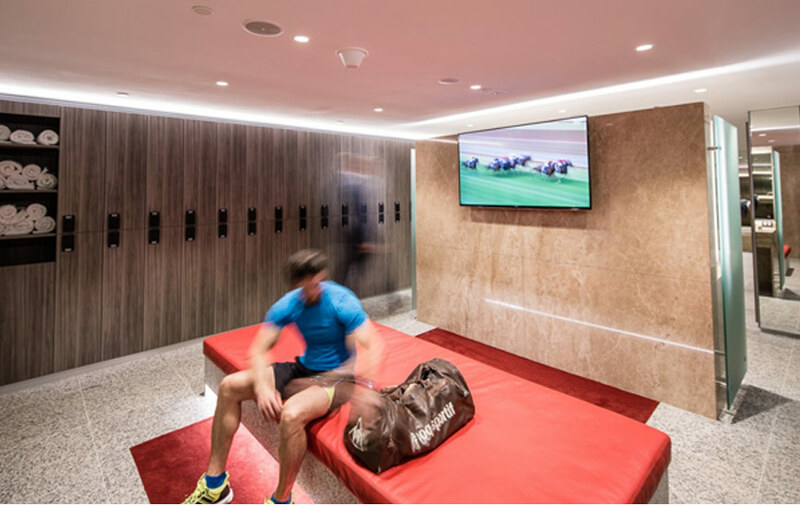 The change rooms house fresh towels, luxurious leather seating and digital TV screens airing news and weather. Camerino is as much a place to dress for the theatre as showering after a cycle commute.